They appear to be head-over-heels in love. 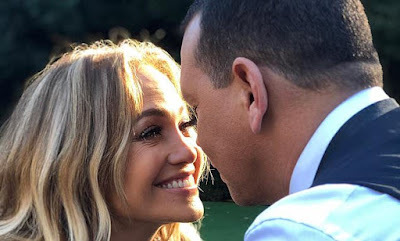 And Jennifer Lopez, 49, couldn't contain her emotion as she marked two years with boyfriend Alex Rodriguez, 43. With her hashtag, the star wrote 'a tap on the shoulder' which could appear to hint at how they first met, or how they began their now-romance. The singer's photo collage began with a close-up snap of the duo sweetly staring into each other's eyes.